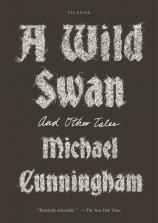 Michael Cunningham's new collection of short stories, one that updates an assortment of classic fairy tales, may strike admirers of novels like his Pulitzer Prize-winning THE HOURS or his most recent, THE SNOW QUEEN, as a radical departure from the literary fiction that has earned him his estimable reputation. That would be an erroneous conclusion, for each one of these emphatically grownup stories reveals again Cunningham's talent for characterization, his psychological acuity and his radiant prose. Best of all, for the brief time it takes to consume them, every story is a pure joy to read. While A WILD SWAN's stories, enhanced by a generous selection of striking black-and-white drawings from illustrator Yuko Shimuzu, are uniformly excellent, inevitably there are standouts. The impoverished widow and her son ("not a kid who can be trusted to remember to take his mother to her chemo appointment, or to close the windows when it rains") in Cunningham's darkly comic retelling of "Jack and the Beanstalk" are less the beneficiaries of an unexpected and happy reversal of fortune than they are an object lesson in greed. When Jack returns with bags of gold after his first trip up the beanstalk, his mother invests the loot in "stocks and real estate," allowing them to rebuild a home with "seven fireplaces, cathedral ceilings, indoor and outdoor pools." But his third and final climb, when "there's nothing left for him and his mother to buy," is motivated, not by need, but by the fundamental human truth that we "always want more, though. 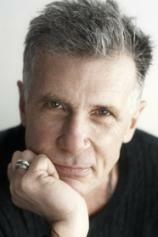 Some of us want more than others, it's true, but we always want more of…something." "Cunningham freshens every one of these well-known stories with the care and respect one would expect from a writer of his talent, in the process revealing something new about why their appeal endures." "Little Man" is an emotionally powerful retelling of "Rumpelstiltskin" from the point of view of the "two-hundred-year-old gnome" whose magic enables a young woman to spin straw into gold, saving her life and securing the hand of the king. Cunningham's sympathetic portrait of that strange little man's deep longing for a child brings us sadness, rather than relief, when the princess succeeds in naming him and keeping her child. Cunningham also skillfully channels the mood of a Stephen King horror story in the chilling tale "A Monkey's Paw," when a mother and father, granted three wishes, must live with the tragic consequences of their wish for the 200 pounds they need to pay off the mortgage on their home. Equally eerie is the title story, where a young prince whose right arm is a swan's wing spends his nights "in one of the bars on the city's outer edges, the ones that cater to people who were only partly cured of their curses or not cured at all." Cunningham freshens every one of these well-known stories with the care and respect one would expect from a writer of his talent, in the process revealing something new about why their appeal endures. "Her Hair," a version of the Grimm Brothers' "Rapunzel" that dispenses with everything that occurs before the lovestruck prince's fall from the tower into a thorn bush, blinding him, also radically reimagines the story's ending in a way that's much more moving than the "happily ever after" conclusion of its traditional counterpart. In "Crazy Old Lady," Hansel and Gretel are not the innocents whose quick thinking saves them from a horrible death, but instead "young psychopaths" who exhibit "that hungrily alert quality you see sometimes in kids who have been knocked around a little." In a recent NPR interview, Cunningham commented, "I'm not here to improve you in any way, I'm here to tell you a story." That's an entirely too modest assessment of this delightful collection.